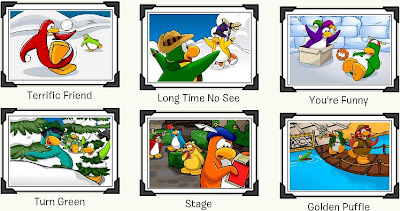 Club Penguin Cheats by Mimo777 Club Penguin Cheats by Mimo777: Newest Club Penguin Postcards! 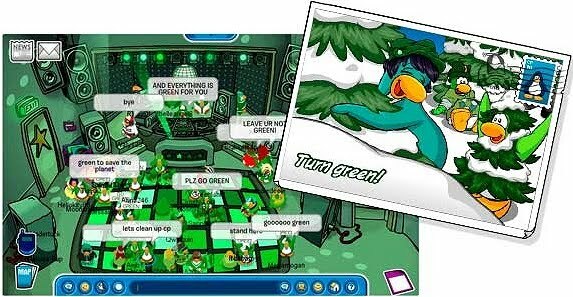 Of course, there is a "Turn Green" one for the upcoming Earth Day celebration! I love the "Long Time No See" one, don't you? And, the "You're Funny" is pretty phunnie, too! Which one is your fav? 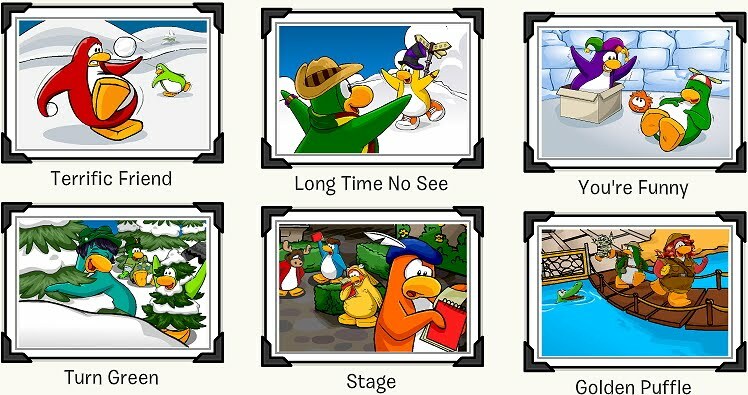 Speaking of postcards, Club Penguin has noticed lots of you turning green! They hope you like the new postcards and would like to know what ideas you have for new postcards. I think the 'turn green' postcard is for the Earth day party! ARRRRRRRRRRR!Who of ye wants to meet me today at 5:00 on Sleet at ye Snow Forts? Why do they have green face paint? Is it for the party, or do you get it from the post card? I think Club Penguin should have a "Lets go find Mimo777! postcard. Cool! I Like the turn green one 2. P.S:If you want cp to listen to u its faster to call them. They actually listen! Please don't pretend to be Rockhopper. Some people might think you are actuelly him. It is a secret item in the clothing catalog. Most of the catalog is for the Earth Day party. It is a cheat in the catalog(or hidden item) you can buy it. I haven't really seen you mod so d.
Well, the green face paint is in the Gift Shop. You have to turn it to the page with the dancing floor background. Then click on the pink square on the bottom left corner. You can only get it if you're a member. I hope this will satisfy you. Oh yeah! How could I forget a thing like that? To become a mod look for the mod rules on the right hand side of this site and click the link. The TURN Green is for Earth Day!